Are you a conventional plant breeder? There is nothing known as a conventional or new breeder any more. There is only one science of plant breeding. I am a leading example of that. 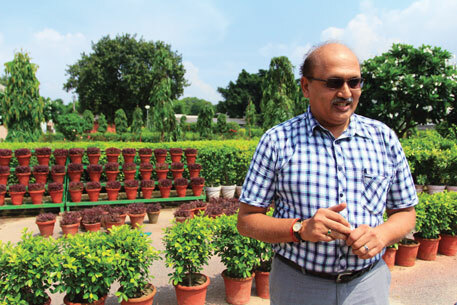 I was the first person to use molecular markers in plant breeding (also known as molecular assisted selection or MAS) in the Indian Agricultural Research Institute (IARI) in 1992. The molecular markers came up in 1986-87 and when I joined IARI I was asked to start a project on the use of markers for genetic analysis on brassica (mustard) for which I got funding from the Department of Biotechnology. There is a perception that classical plant breeders are undervalued. So, is this a belated recognition by ICAR? You may be right but this is not the case anymore. The plant breeder today is the most cherished specialist even among so-called molecular biologists. There was a time, roughly from 1995 to early 2000s, when there was a widespread impression that plant breeding was so far an art and molecular biologists had added science to it, either through transgenic route or marker system. I was working on my post-doctoral research in Canada in 1997-98 and I travelled all the way from Saskatoon, where I was working at the mustard station, to Manitoba to counter what a scientist had written on this subject. I met him, argued with him and convinced him that he was wrong. It was Greg Penner (microbiologist with Agriculture Canada who was managing the barley genomics project) who had penned this. I told him that the science of plant genetics is the basis and what he was doing was only crowning it. What does the award do for you? Nothing directly for me but it has really helped my wheat group and plant breeders in general. Previous winners for the last many years have all been from the field of microbiology. For me, it’s the recognition of the feasibility of a classical plant breeder using modern tools of molecular biology and still remaining a classical breeder but adding efficiency to his breeding process. For example, to transfer a gene from one material to another genotype one normally goes for backcross breeding. This means six seasons of crossing and another four seasons of getting them together and then field trials for another three to four seasons. By that time most people will change their careers. But the molecular marker system I have introduced has made the process so much more efficient. There is not one group, not one researcher among the 45 scientists in my division who is not using it. You are a wheat man but your research started with mustard? I worked initially on wheat, did a lot of rust genetics, and then moved over to mustard, again to work on rust which is my field of interest. This is a yield-limiting factor and pathogens always evolve and adjust to new genotypes and try to beat them all the time. It’s their survival mechanism and a never-ending process. So we need to stay one step ahead. By identifying new genes and pyramiding them. I did the first action of pyramiding the genes for rust resistance in wheat. We had a very good wheat group in Delhi. So based on my understanding of rust resistance I was advising them. Professionally, I was working on mustard rust genetics. It’s in that regard I had gone to Canada to identify molecular markers to fight white rust in mustard. That is the first paper from India (published in 1998 in the Journal of Theoretical and Applied Genetics) on rust resistance using molecular tools. Disease resistance genetics or disease resistance development in a plant variety does not add to its yield potential. It only consolidates and conserves the potential existing in that variety by preventing yield loss. It’s the same as the Bt concept (the agro-bacterium gene used in most genetically modified or GM crops). It’s mistakenly believed that Bt gene gives big yield increase. It does not. How has your work on rust helped Indian farmers? This year we have a fantastic example in wheat. Last year we produced 94.6 million tonnes of wheat. This year the production came down to 92 million tonnes. This 3-million-tonne loss is not entirely due to rust but a large component of it is because of yellow rust that manifested itself in Punjab, Haryana and western Uttar Pradesh this year. Our varieties have been able to withstand this onslaught. Farmers who used our varieties HD 3043 and HD 3059 did not suffer any loss. Now we are introducing, exclusively through molecular breeding, two new varieties, HD 2932 and HD 2733. These are the first products developed under a Rs 1 crore biotech stress-resistant breeding programme, of which I am the national coordinator. Through molecular tools, I am recreating these popular varieties with added value. What has given you the most satisfaction? It was when I developed durable resistance technology using minor genes while working on wheat in the Himalayas. It was through conventional means using simple expression of the plant in the field. I was then arguing with people from international developed groups, such as International Maize and Wheat Improvement Center (CIMMYT) in Mexico, telling them this is a better technology for durability of resistance. At that time, their idea was to use alien species to bring new genes while my point was to minimise the pressure on pathogens to select from the same group on the basis of minor genes. But since 2004-05 the same people are talking about this technology and are promoting it. The other source of satisfaction has been the release of wheat varieties HD 3043, HD 3049 and SD 2967, which have not been developed by me but use my minor genes stacking technology. It is SD 2967 which saved Punjab’s wheat. It has taken you a while to do all this work on yellow rust. Was there no GM solution that would have cut the time? It may be a possibility. But my point is, till we exhaust all available conventional means (of sources of resistance), there is no need to go the GM route. Under no circumstances is there a possibility, specially in these disease-like situations, that you will find a single bullet that will work convincingly. Besides, you do not have to go through the rigmarole of biosafety-related hassles and post-release monitoring problems, etc. But in the case of rice, for example, you have the brown plant hopper where you do not have any source in the conventional-related species. Or with the yellow stem borer. There is no alternative if you want to bring in resistance. Either you use pesticides or GM technology. And pesticide is never going to be better than GM.